This book will introduce the “John 17” experience and journey. 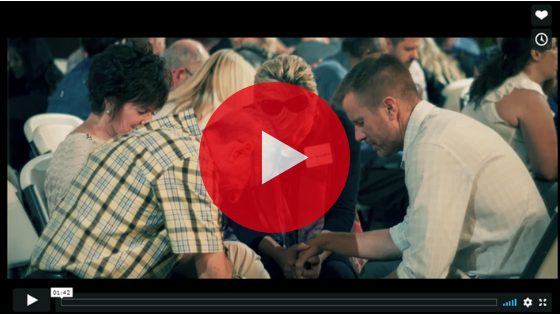 A journey that began with a Pentecostal leader, Joe Tosini, and has since included Church leaders across the United States in a spirit of deep communion. This experience has included two personal and profound meetings with Pope Francis, each over two hours long, and more that forty Church leaders from the Evangelical, Pentecostal, and Catholic worlds. Those “encounters” have then been repeated locally in Arizona, Oregon, Texas, and New York. It is a movement led by the spirit that is not so much about ecumenical dialogue as a communion of friendship and love, as asked for by Jesus in John 17. The John 17 experience is presented as the “royal flush” (poker analogy) message of relationship God has given us in his word both written and incarnate (Jesus.) All true understanding of dogma - theology - must pass through the strainer of relationship. Contributors: Joseph Tosini, Mike Herron, Don Curry, Gary Kinnaman, Bishop Eduardo Nevares, Bishop Thomas J. Olmsted, Sharon and Peter Poppleton, Joshua Butler, Linda Morris, Cal and Lisa Jernigan, Bishop Peter Smith, Peter Petrov, Brian and Gina Kruckenberg, Pat Markey, Michael Rudzena, Ryan Nunez, Ken Costa, Mark Buckley, Matt Maher, Bishop James Massa. Today it seems that everything is to be doubted and cast into question. What cannot be doubted, however, is someone’s experience. This is a moving book of real-life experiences of well-known Christians—Evangelical, Pentecostal, and Catholic—who have learned to love one another. In their experiences the Holy Spirit has opened their hearts and their minds to God’s plan of love: unity. This is a book you will cherish and share. I urge you to read it and reread it, and then to go out to your own experience of walking the path of unity in Jesus Christ. Reading this book has sent a wave of hope and anticipation through the window of my soul! Surely we are living in a new day and God’s Spirit is preparing his Church to be known by their love for each other. I truly believe that as we follow Jesus’ advice to lead with love, the whole world will know the love of the Father. What happens when people put Christ, not the Church, at the center, and see unity of Christians not as a human achievement but a gift of the Spirit? What if you start from friendship, and make reconciliation, rather than agreement, your goal? What if we stop defending and converting, and instead witness to God’s merciful love for all? The answer is here: a quiet revolution breaking out among Catholics, Pentecostals, and Evangelicals, bishops and pastors and lay people, who have been meeting with Pope Francis and each other, and have encountered the heart of God. These are their remarkable stories. Joseph Tosini, founder of the Phoenix-based John 17 Movement, was invited by the Vatican to help plan events for the feast of Pentecost. Pope Francis intends to hold special Pentecost celebrations to mark the 50th anniversary of the Catholic charismatic movement.